James Harden and the Houston Rockets visited the struggling Celtics in Boston on Sunday afternoon. The Celtics entered the fourth quarter of this game down by 22 points before eventually losing 115-104, after struggling all day offensively and defensively. They were unable to get anything going against this fully fit Rockets team, which appears to be hitting their stride at the perfect time. The Rockets are at their best when they're hitting three's at a high rate, penetrating to the basket, and getting to the free throw line. They did all three against the Celtics, a team that continues to struggle, and is having a hard time finding their identity. James Harden continued his push for the Most Valuable Player award as he put up 42 points on 14-31 shooting, including a dagger three-pointer as the Celtics were making a run late in the fourth quarter. Eric Gordon for the Rockets also added 32 points, hitting 8 threes. The two combined to score 74 points on 51% shooting. In his postgame interview, Harden said: "We're finally healthy, so yeah, it feels good. We're winning, guys know their roles, we're executing defensively, helping each other out, talking. That's what it's all about." If only the Celtics had this type of attitude. One major question that this Celtics team has right now: What is this teams identity? They're not a defensive team anymore. Boston has strayed away from all the things that made them so good last season. There's little-to-no effort on the defensive end, with defenders consistently getting beat off the dribble and then being unable to make good rotations and close-outs. The team still doesn't appear to be together or understand their roles at this point. You can see it in their body language as they continuously make mistake after mistake, heads down, arms thrown up in the air. Also, a major issue for the Celtics is their shooting woes. They shot 48% (37-77) from the field overall and just 29% (8-28) from three-point range. Al Horford said after the game:"We've had some good moments. Right now, unfortunately, we're going through a really bad stretch. This is when our group needs to make sure that we stay together." Boston is now 1-5 in their last six games, and 3-7 in their last 10. 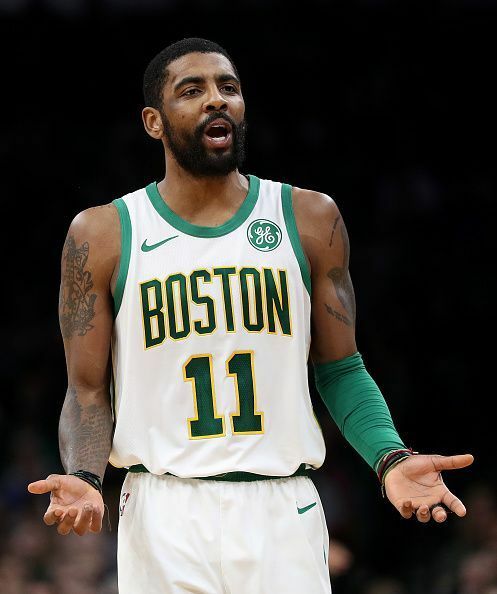 Many people are questioning whether or not Kyrie Irving has mentally checked out for the season and is now focusing on where he is going next. I don't think this is the case, and I think everyone, from fans to the media, should get off his case. He wants to be in Boston, this is something he has said on multiple occasions. Everyone on this team is just overly frustrated at this point. This is a team that was projected to win 50-60 games and expected to go back to the Conference Finals, and maybe get a shot at the Finals this year without LeBron in the way. 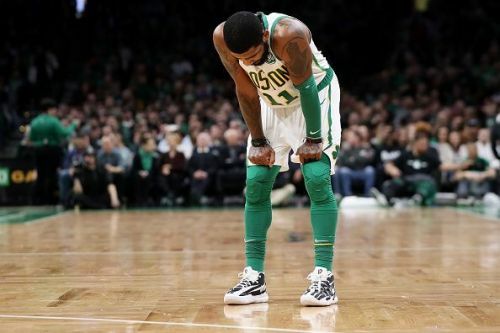 Kyrie, Marcus Smart, Marcus Morris, Al Horford, Brad Stevens, and every Celtics player, fan and analyst knows that the Celtics are a better team than what they have shown so far, or at least they know they can be. The road doesn't get any easier for the Celtics, as they will face the Warriors in Golden State on Tuesday. At least there, on the road, they probably won't get booed off the court like they were tonight at TD Garden.